Beowulf Boritt's set design for "Thérèse Raquin" includes an on-stage River Seine, where Gabriel Ebert, Matt Ryan and Keira Knightley take a boat ride that isn't going to end well. Below, Knightley and Judith Light. There’s something reassuringly autumnal about the design of Roundabout’s “Thérèse Raquin,” an adaptation of the tragic Émile Zola novel notable this season for featuring Keira Knightley in her Broadway debut. Knightley, the English actress with such admirable range, is fine as the title character, something of a caged animal who makes a brutal grasp for true love. I was relieved no one was removed from Studio 54 in handcuffs at the performance I recently attended. Days later, what I languish in most, though, is the moody feel of the set and costumes: the mahogany-appointed Parisian apartment where the heroine settles with her husband and mother-in-law. Her lover’s attic studio, suspended precariously in mid-air by rope and pulley. Characters, heavily clothed as if in some Impressionist painting. For how well-assembled director Evan Cabnet’s production is, rest assured the figures in this update of Zola’s 1867 story (adapted for the stage by British playwright Helen Edmundson) are still falling to pieces. The atmospheric production design also underscores the fact that no one here is quite functioning in reality. Thérèse is a quiet woman raised by an overbearing aunt (Judith Light) alongside her sickly and obnoxious cousin, Camille (Gabriel Ebert, the “Matilda” Tony-winner). When the youths come of age, they’re forced by Madame Raquin into a loveless marriage. In a unilateral decision, Camille relocates his family to the city, where they encounter his childhood friend Laurent (Matt Ryan, who had the title role in NBC’s “Constantine”). Laurent and Thérèse fall in love—their scenes are equal parts raunch and romance—and do away with Camille in a scene that plays out superbly at Studio 54. Rather than finding that love fills the void, though, each becomes crippled with guilt, and that’s when the play becomes even more bleak. Knightley is awkward in the parts of Edmundson’s well-paced adaptation where awkwardness is required. I never got a sense of her Thérèse as deeply miserable. Rather, she’s rabbity during the play’s early scenes and curiously dispassionate later on, even once she begins her affair. When Thérèse is intimate with Laurent, it sometimes seemed as if I were just watching the instant-gratification result of a right swipe on Tinder. Ryan, as Laurent, is more effective, as the man who helps Thérèse realize she’s a sexual being. Though cut off from his family money, Laurent lives economically and spends his days painting gorgeous women, whom he readily acknowledges he takes to bed. It’s a credit to Ryan that he never allows Laurent to come across as a shallow Lothario. Laurent may not be a stand-up fellow, but he’s no dilettante, either. With his petulant behavior, Ebert is—like Mr. Wormwood in “Matilda”—the guy you love to hate. Camille is crass toward his cousin, but then you almost care about him when he frets about his health … and then after he moves everyone to Paris, you hate him again. But then, there’s this boat ride, and … you get the picture. Ebert’s excellent. Judith Light, as widowed Madame Raquin, is the only character who earns unadulterated sympathy. Doting on her miserable son as only a mother can, forced to bury her own child—and then, after being left voiceless and paralyzed by a stroke, learning the truth about her son’s death. I just wanted to hug the woman. In the second act, Thérèse and Laurent are haunted by Camille’s ghost, figuratively and, perhaps, literally. This material’s been around a long time, so there may not be suspense about what happens next. Nonetheless, “Thérèse Raquin” generates a strong sense of dread, and on that level it’s both a somber and engaging piece of stagecraft. 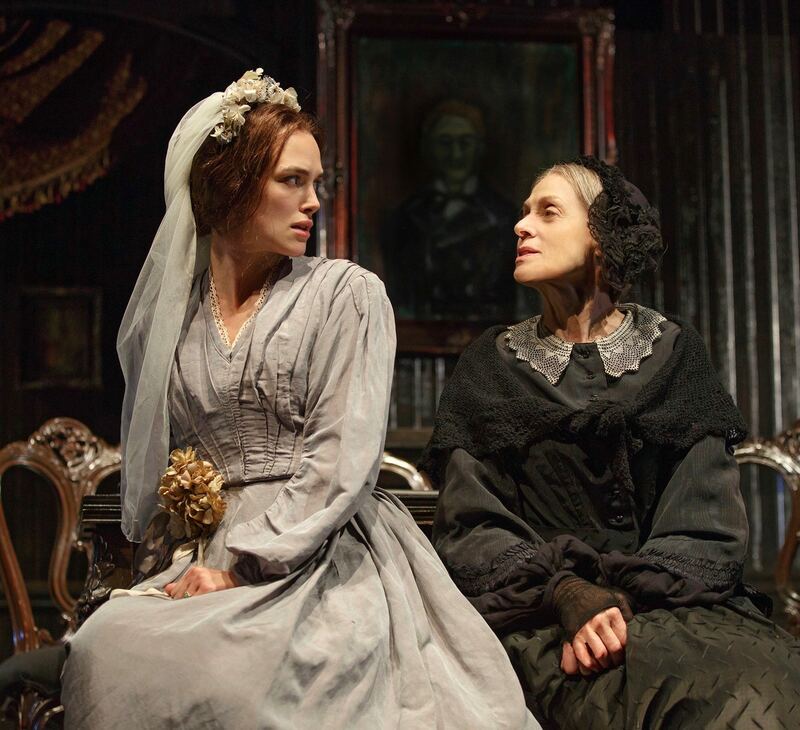 “Thérèse Raquin,” through Jan. 3, 2016 at Studio 54, 254 West 54th St. Tickets: $47-$137. Call 212-719-1300.